Sarah Vogan began her training at a young age. Her performance highlights include: ABC Boscov's Thanksgiving Day Parade, Sunoco Welcome America 4th of July Parades, Republican National Convention, Pennsylvania Governor Ed Rendell Inauguration Parade, and in 2003, Sarah made her debut dancing at Carnegie Hall in concert with Janellen Farmer. 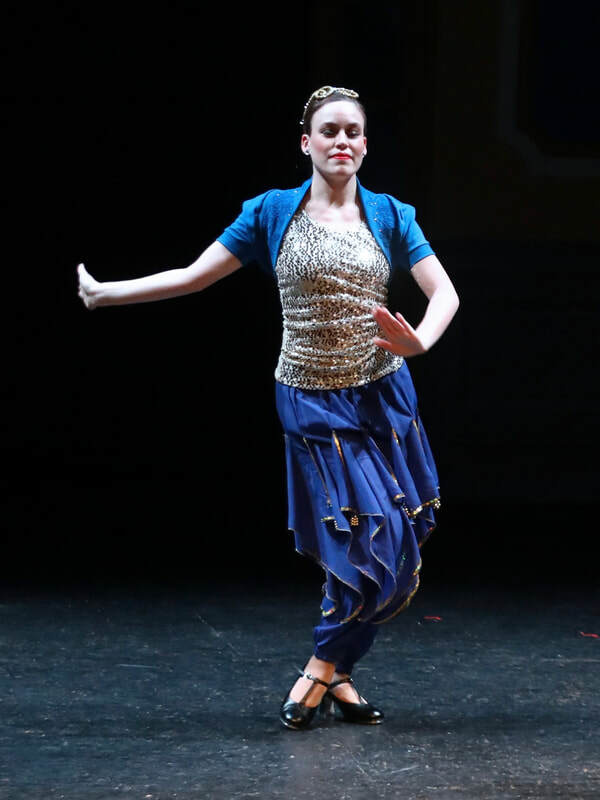 While acquiring her BA in dance at Mount Holyoke College, she choreographed an adjudicated piece for the American College Dance Association national festival. In 2007, she traveled to Ireland to teach American tap dance, while studying Irish step dance with international champions, Jim Hickey and Justin Walsh. Sarah was a member of Opus 1 Contemporary Company from 2011-2013. She has been teaching and choreographing in the area and was recently recognized with a choreography award for one her tap numbers. This is her third season with The Lady Hoofers.